HYDRO today announced it signed a global distribution agreement with JB Roche (MFG) Ltd. and Liftsafe Fall Protection Inc. 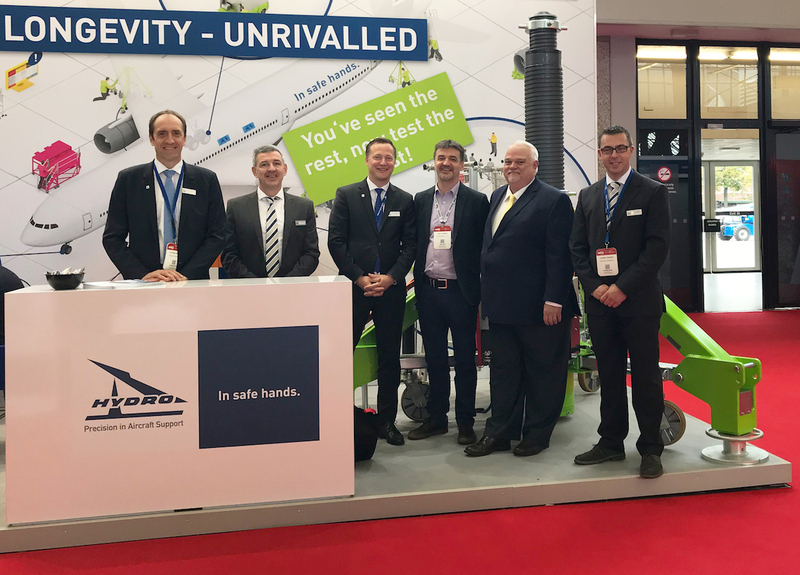 This relationship with JB Roche and Liftsafe Fall Protection will increase product availability and give customers access to even more Ground Support Equipment (GSE) products. “First and foremost this agreement is a benefit for our customers,” states Peter Prinz, CEO of HYDRO. “Together with JB Roche and Liftsafe Fall Protection we can offer an even wider GSE portfolio to our customers than before. This supports us on our way being the Partner to talk to for aircraft maintenance equipment.” All products will be delivered in the well-known highest quality standard of HYDRO, as well as precisely when and where the customers need them. HYDRO sold its first tripod-jack in 1966, since then the company has grown its portfolio to include Ground Support Equipment, Airframe and Engine Tooling, Engine Transportation, Engineered Solutions, and Service. The HYDRO Ground Support Equipment portfolio covers more than 3,000 products. HYDRO’s passion for precision doesn’t just refer to precision in every detail; it means the company precisely provides products that are fully aligned to the needs of OEMs, airlines and maintenance facilities around the world. Before HYDRO launches a new product, it has been rigorously tested in harsh operating conditions. The company sets the standards with its uncompromising safety, total functionality, reliability, longevity and user-friendliness. Engine and aircraft access stands and platforms from Liftsafe Fall Protection will complete the GSE portfolio from HYDRO. “Our products are used worldwide and are able to provide a safe working platform for regular maintenance thus allowing for workers to conduct their jobs with peace of mind”, states Claude Leduc, Managing Partner of Liftsafe Fall Protection. “Through rigorous product testing, we have refined our products to perform when it counts. This is why we are thrilled to develop our business relation to a real partnership with HYDRO. Liftsafe Fall Protection and HYDRO both give the same promise to their customers.” The partnership will enlarge the access for customers to engine and aircraft access stands and platforms in the European, African, and Asian region.